Peace…a beautiful word, but a difficult achievement. 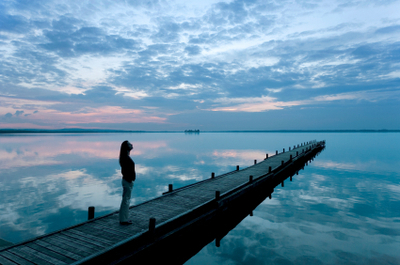 Many of us are more familiar with the word stress than the word peace. Much of life is stressful – the noisy motor bike that roars past your house, the demands of your workload or the juggling of our finances to see who will be our lucky creditor for this month. Whether it is simply the news from Afghanistan we can no longer bear to hear, life is stressful. Maybe even today you have experienced stress. Sometimes that car journey between home and church can be like no other drive in the week. So what is the answer? How can we know peace? Peace defined, not simply as the cessation of hostilities, but peace as wholeness, harmony, a feeling of being right with oneself, and with others? Well how do we make peace with who we are? A little therapy? Maybe a spot of hypnotism or a couple of new age crystals in our pocket? Far more profound is an encounter with the Prince of Peace. When we meet Jesus and are baptised in His love. When we die to our old life and rise up to a new one. When we are born again through faith in Jesus. When we are freed of memories of sin and break the power of sin, then we can know peace. “Do you think I have come to bring peace on earth – no, I tell you, but rather division”. Jesus even says,“ I have come to bring division, even in that most sacred of institutions – the family. Father and son will be divided against each other, mother against daughter, daughter against mother- in- law. So how does His coming give us any hope of peace? He divides, and advises that following Him may turn generations against each other. How then is He the Prince of Peace? Have you ever had surgery? Ever had to go through the fasting, probing and preparations? Some of you have had an angiogram and experienced a lot of pain. Some of you have given birth to children and experienced the pain and trauma that involves. You had to pass through the pain before the good came about. So with Jesus. He does give peace, but He has to do a little spiritual surgery in our hearts and lives before we can know true peace. 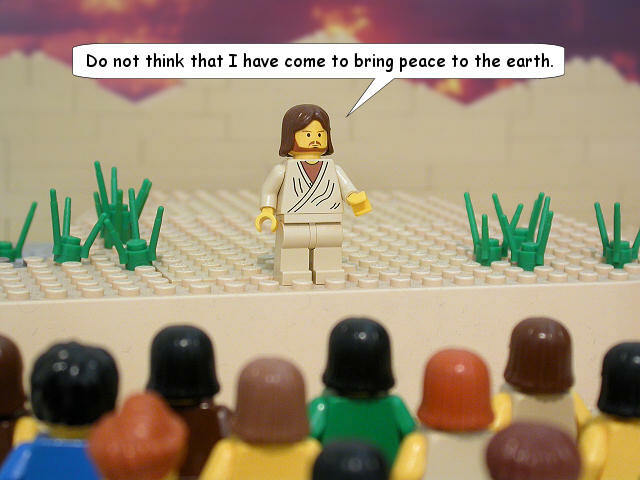 Jesus’ peace comes from meeting Him. So then how do we find Jesus’ peace? Faith – Put your faith In Him. Trust Him. You have begun a new relationship with a heavenly friend. Baptism – Be baptised. That is always the way in which a new Christian signifies they are a new person. Baptising little children signifies that we want them to grow up as Christ’s followers. Time – Spend time with the Prince of peace. Remember when you first hung around with someone you loved deeply. You wanted to spend time with them: fun times, serious times, planning times and simple happy times. Do that with Jesus and you will have peace. Give – Learn to be a giving person. Learn to love being generous – with your time, money, appreciation and encouragement. Serve others until it hurts, and you will have peace. Balance – Have a balanced lifestyle. You may have to say no to a promotion so you can spend more time with your wife and children. If you are married or single, you need to also make time to be alone, or you may need to give your spouse more time to him or herself. How beautiful. Let Jesus bring you His peace today. Peace that will seem painful to receive, a bit like passing through fire, but on the other side is the peace of Jesus, Jesus your eternal friend and Lord.